Latin American markets ended mixed, with share movement somewhat muted. Brazil posted its fifth-straight session of losses, as the government’s alleged bribery scandal again heated up this week. Meanwhile, Mexico remained positive, bolstered by U.S. market strength. U.S. unemployment dipped to a four-year low, and Dow member Alcoa kicked off earnings season with a stronger-than-expected financial report. As in Brazil Argentine shares moved lower. Brazil’s benchmark Bovespa Index slipped 26.60 points, or 0.11%, while Mexico’s benchmark Bolsa Index advanced 20.90 points, or 0.15%. Argentina’s Merval Index receded 4.33 points, or 0.31%. Brazilian shares capped off a week of losses in negative territory. Initial positive sentiment turned sour amid the latest installment in the country’s political scandal. Rio’s daily O Globo reported that a new witness has come forward and claims to have delivered US$ 200,000 from the governing Workers Party’s offices to congressional allies. Separately, amid the ongoing shake-up within President Luiz Inácio Lula da Silva’s cabinet, the President appointed Luiz Marinho, the former president of the central Workers Congress, to the position of labor minister. Marinho replaces Ricardo Berzoini. On the economic front, the government’s IBGE statistics institute reported that the Consumer Price Index fell 0.02% in June, following a 0.49% advance in May. Decreasing food and fuel prices helped mitigate consumer prices last month. In corporate news, Brazil’s telecom regulator, Anatel, canceled a July 18 deadline in which shareholders were to have resolved a regulatory dispute regarding overlapping mobile licenses from Brasil Telecom and Telecom Italia. Meanwhile, a major investment bank downgraded medical testing services provider DASA to “neutral” from “buy,” due to a recent surge in the firm’s stock price. The broker also increased the firm’s price target to 38.29 reais. Elsewhere, an investment house upgraded iron ore minor CVRD to “buy” from “hold” and boosted its price target to US$ 33 from US$ 30. Separately, CVRD said that Moody’s Investors Service raised the firm’s rating to Baa3, an investment-grade rating. Meanwhile, Mexican shares remained strong, following robust market gains from its key trading partner, the U.S. In economic news, as expected, the Bank of Mexico left its monetary policy unchanged, leaving the daily money market liquidity restriction, or corto, at 79 million pesos. Some economists expect the central bank will cut the corto at its next meeting. The central bank recently decoupled its policy from the U.S. Federal Reserve’s policy. In research reports, a major investment bank downgraded America Movil to “neutral” from “buy.” The bank thinks the firm’s stock is overextended, but it “still believes that America Movil is the operator best positioned to capitalize on wireless growth in the region and a solid investment for long-term investors seeking liquidity.” America Movil’s shares slumped in response. Argentine issues turned lower late in the day, following a strong advance earlier in the session. The central bank’s latest weekly survey of economists revealed that they expect 2005’s inflation to reach 10.3%, higher than the prior target of 9.8%. Earlier this week, data showed an unexpected leap in June’s consumer prices. Venezuela’s Telesur Is on the Air. 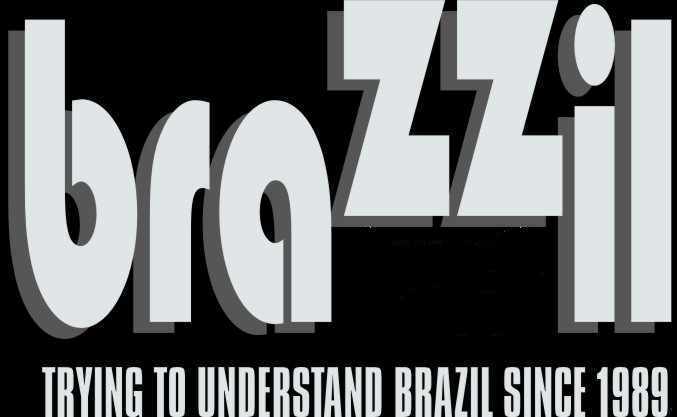 Next Attraction: TV Brazil.